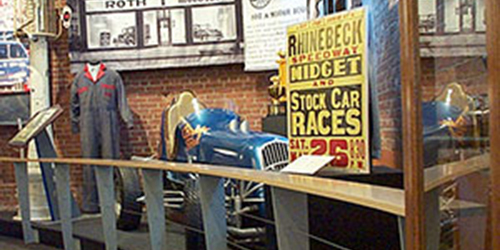 With headquarters in Liverpool, New York, Exhibits And More offers complete design, fabrication and installation services for the trade show and museum sectors. A second location opened in Victor, New York in 2001 and provides additional sales and design support. Exhibits And More was formed in 1984 and has grown to become a complete turnkey solutions provider for all types of exhibit and presentation projects. With a background in theatrical and studio design, we concentrate on audience interaction to insure that the client's message is understood by as broad a spectrum of end user as is possible. Our staff is now over 20 people, including Designers, Cabinetmakers, Detailers, Installers and Account Representatives. Our growth has been “sure and steady” over the years, never losing sight that our business depends on both customer and employee satisfaction. We're a happy company and love what we do. We take our work very seriously but we don't take ourselves very seriously. We are passionate about what we do and are always told we are fun to work with. Our goal is to make your exhibit shine in the most pleasant way possible. Access - Exhibits And More is big enough to handle large projects, but not so big that you just become a number. We pride ourselves in the personal attention that every client receives from our team. Convenience - We realize that not every client has the same needs. We'll give you the same level of commitment regardless of whether we're providing complete services or just a portion of your program. We're here to help. Reliability - We know that nothing stops the show from happening - like theater, the show must go on, no matter what. We take that very seriously and meticulously go over every detail before your event. Providing superior service to elevate our client's experience. We are committed to being an active member of the community. EAM helps our neighbors and community throughout the year by supporting Vera House, Make A Wish Foundation and other local charities – not just financially but also through volunteering and being board members. No matter what size your project is, you are always one step away from from the owners of the company. 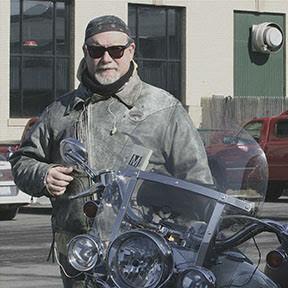 Bob's a passionate guy—whether it's meeting with a client, designing an exhibit or riding his Harley—there's nothing half-assed in what he does. Immensely proud of what EAM has become, Bob's always looking out for what's best for our team members and for our client-partners. It's been 34 years since Exhibits And More was founded, and it just keeps getting better. Jeff's the nuts and bolts of Exhibits And More—from fabrication and installation to services and infrastructure, he's got the answers. Bringing a Midwestern sensibility (Packer fan extraordinaire) to EAM's operations has allowed the company to maintain a steady growth for more than 3 decades. 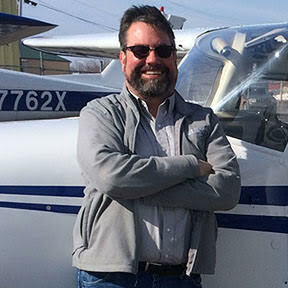 Jeff's an avid pilot and flight instructor in his spare time. Frank hails from Chicago, IL. 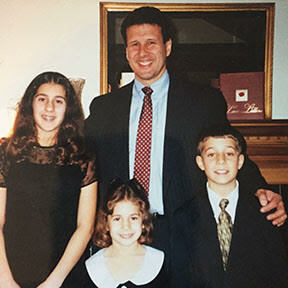 He completed his undergraduate degree at DePaul University before heading to California to complete his MBA. He worked in consulting and for Pepsico before joining EAM in 1998. In his free time Frank enjoys family time and likes to travel. Our culture is distinct and vital to our success, and it begins with our team. Our account team, designers, fabricators and installers are all curious, interesting, enthusiastic people and the reason for our continued success. We look forward to introducing you to them.